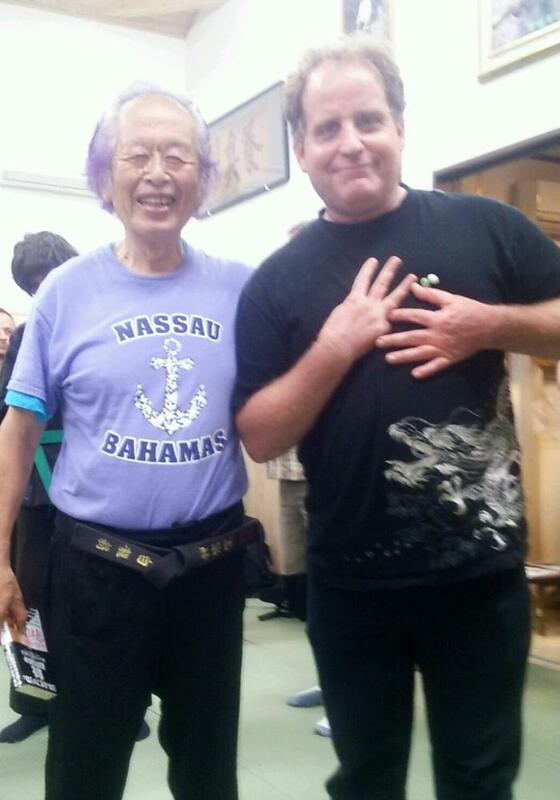 The person pictured with this writer (in his capacity as WDS spokesperson) is Masaaki Hatsumi. Hatsumi runs the Bujinkan martial arts training school, which has trained over 250,000 special operations troops and has a network of 50 training centers worldwide. His name is a household word among people involved in actual fighting and real martial arts worldwide. He trains FBI, British, US, Russian, Iranian and other Special Forces. Chinese sources say he is the only Japanese citizen who has free access to the top levels of the Chinese government. At the meeting, Hatsumi expressed support for WDS goals. You are breaking the law by posting my subscription newsletter for free. The rule is that you are allowed to post the newsletter for free on the Thursday after the Monday that subscribers get it. We will be unable to continue the work required to create the newsletter without the support of our subscribers. If you continue to post the newsletter as soon as it comes out, we will be forced to take legal action. Your understanding in this matter is appreciated. The Greek default has triggered major cyber and information warfare that raged across the world last week. The warfare involved banks, defense firms, major stock markets, telecommunications firms and more. For example, the July 8th cyber-attack that shut down the New York Stock Exchange, the Wall Street Journal, United Airlines and several mobile phone companies was retaliation for an American attack on the Shanghai Stock Exchange, according to Chinese and Pentagon sources. “This was just a dry run,” the Pentagon sources said. In any case, the bankruptcy of these institutions was followed by the formal $200 billion start of the BRICS bank and BRICS financial stabilization fund. The BRICS invited Greece to join them but, of course, the BRICS bank is not about to bail out the criminal Western banks that looted Greece, it will only help the Greek people. The Khazarian controllers of the Federal Reserve Board, angered by the BRICS bank, were the instigators of the attack on the Chinese stock markets, pentagon sources say. This burst a bubble, leading to a 40% decline in Chinese stocks before the government intervened and suspended most stock trading. The Chinese counter-attack shut down the New York Stock Exchange etc. This was then, according to pentagon sources, followed by weather warfare as a major typhoon was sent crashing directly into Shanghai, forcing the evacuation of a million people. The Pentagon summoned Khazarian house slave acting-president Obama on Monday to tell him they have just upped upgraded their military relations with Vietnam “to a strategic level.” In other words, the Vietnamese will work with the Americans to hold back the Chinese. Despite rhetoric against Russia, the Pentagon is already working with the Russians to make sure China keeps in line, the sources said. Obama was told in no uncertain terms that he was to stop “poking the bear” and to concentrate on the main enemy, which is the Khazarian mafia, and the potential enemy, which is China. This was part of the major ongoing Pentagon campaign against Israel and the Khazarian mob. In another part of this, Pentagon and agency hackers released a video, that has gone viral, showing the filming of a fake ISIS beheading.